THE growing incidence of violence against journalists involving PTI supporters is extremely worrying. The scenes of young women TV presenters being mobbed and heckled at rallies are the latest example of the party’s growing intolerance towards freedom of expression. Even senior journalists and independent commentators have not been spared by the PTI’s self-styled storm troopers. Quatrina Hosain, a well-known senior TV anchorperson and a journalist who has worked for various international and national publications, is still recovering from the shock of being violently assaulted at a party rally some months ago. She was targeted for her independent views. The party goons have repeatedly attacked the offices of a particular media group against whom Imran Khan has declared war. Dare write anything critical of the party or its ‘dear leader’ and you are sure to be labelled by some of its overly zealous social media operatives as ‘sold out’. In over 30 years of my journalistic career in the national and international media, I have never come across such filthy language being used against writers, now also on Twitter and Facebook, who are even remotely critical of the party’s stand on various issues. Ironically, many such comments come from those believed to have had a Western education like their leader and Pakistani expats sympathetic to the party’s cause of ‘Naya Pakistan’. One is quite sure of being branded an ‘American agent’ if we question the party’s ambiguous position on militancy and violent extremism. One does not experience such a situation with any other political party despite being much more critical of them. It is a very sad state of affairs for a party that boasts to be representing the educated middle class of this country and claims to be a harbinger for change. The PTI’s arrogance has become increasingly evident with the swelling of the crowds at its rallies. Many in senior positions in the party are my friends. and let me confess that I voted for Asad Umar in the 2013 elections because I thought he was better than the others. But this disgusting culture of intolerance is certainly anathema to democratic politics and goes against all the norms of civilised behaviour. For sure, some other groups such as the MQM are also notorious for targeting independent media persons and terrorising their opponents. But what appears to be a systematic and widespread campaign by the PTI supporters against journalists is unprecedented. Ironically, targeted physical assaults have become much more common in recent weeks with the beginning of the party’s mass movement against alleged election fraud. The youth, which is the party’s biggest political asset, devoid of any ideology, are much more aggressive and intolerant. Mere impressionists, to them Imran Khan cannot do anything wrong. Although this kind of personality cult is not uncommon in Pakistani politics, the madness certainly is. What is most disturbing is the nonchalant attitude of Imran Khan and other party leaders towards such incidents at party rallies. In fact, it is the tenor of the ‘Kaptan’s’ own speeches that appear to have encouraged this culture of intolerance in party ranks, supplemented by people like Sheikh Rashid. Over the last four months, PTI supporters have heard their leader abusing everyone — from political leaders, to journalists, judges and civil servants. For many of them, everyone else is corrupt and so must be damned. This air of self-righteousness, entitlement and arrogance has become increasingly evident with the swelling of the crowds in these rallies. Such headiness is unbecoming of a leader who seeks to change this country. One wonders what kind of “Naya Pakistan” he espouses. This imperial hubris has become much more pronounced lately. People like Sheikh Rashid and others of his ilk are acceptable because they ‘bow’ before the great leader. Journalists are the PTI leader’s favourite target and no wonder his supporters have the least respect for freedom of expression. Imran Khan has used the term ‘lifafa journalist” (paid journalist”) for those who challenge his views on political and social issues. He almost incited his supporters to attack Geo, accusing the media group for everything, from being involved in election rigging to conspiring against the country. Ironically, some journalists seen as among the most dubious are by his side on the container. They are declared kosher, despite their questionable professional credentials. What Imran Khan is not willing to accept is that he largely owes his political rise to the huge media coverage given to him. The live telecast of his speeches throughout the 100 days of the ‘dharna’ helped him mobilise public support. In fact, Imran Khan and his party are the biggest beneficiaries of the freedom of expression in the country. No other political party has got such massive and prime-time TV coverage. Democracy cannot be envisaged without a free media. Now this is under attack from the very party, which has benefited most from this freedom and claims to be fighting for the democratic rights of the people. Undoubtedly, his battle against corruption, the patronage system and in favour of fair and free elections has raised the hopes of the people for a more inclusive democratic future. But the party’s campaign against a section of the media is a direct attack on the very values that it claims to stand for. Imran Khan appears to be a great admirer of Western and particularly British democratic principles. But one wonders if he really believes in them. He does not seem to have any patience for others’ views. His diatribes against other political leaders and members of civil society and unsubstantiated allegations have crossed the norms of civilised behaviour. One expects national leaders to show a greater level of responsibility than they expect from others. Can any political leader get away with this kind of irrationality in the West that Imran Khan keeps giving example of? His much-touted tenacity and determination aside, there is a lesson for him to learn from his various plans of action: how to take a step back and ponder. The attack on journalists comes across as a sign of a creeping fascistic culture. A very well thought piece of writing indeed. We need to realise that it's people who make up any nation and given the intolerant attitude of masses, change is nowhere to be seen. We want change but will never bother to contribute. It seems we will keep blaming each other till eternity. By the way, the butchers ruthlessly killed 140 children in Peshawar. Do we need any more alarm bells? No doubt violence against anybody is wrong but no words for that media group's totally biased coverage of PTI? It takes two to make a quarrel. The key lines in the article; "What Imran Khan is not willing to accept is that he largely owes his political rise to the huge media coverage given to him." This monster is the creation of media and it will come after media first when in power. We are watching transformation of PTI into MQM and IK into Altaf Hussain. If media wants to do the right thing, stop covering his every move and every sneez. Before reading the last portion of your article, I was wondering if the attitudes and tendencies shown by the PTI could not be equated to fascist parties now proliferating in Europe. Indeed, there is not much doubt that the way Imran and his party behave is not much different from what can be seen among the extreme right wing fascist parties in many european countries (where they target Muslims particularly). It is the same language which they use: 'all other political parties have failed, they are all corrupt and unpatriotic and so on'. They attack the press especially the free press or the one which criticises their methods. It is indeed worriesome. I am supporter of Imran Khan, who is fighting against rigged election. However, you must respect the media and their open views, where you see the only democracy. I opinion and support of the party would change if Imran Khan and his party continue to go against the "Freedom of Press." 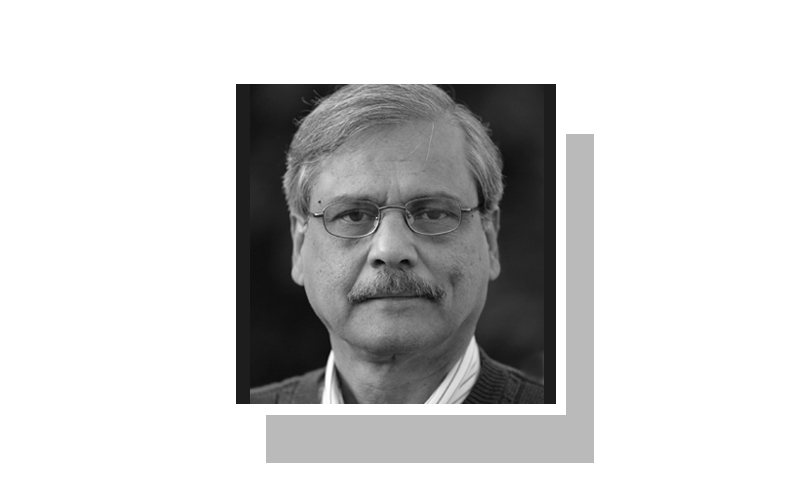 Zahid Sahib: Many a leaders who became prime ministers were the find of the establishment which later turned against the source on their maturity. Now this is the latest diamond mined from the same pit now dazzling on the horizon. Once he learns the ropes and finds the truth, a new one will be prancing before us on the stage! Remember Jarnail Singh Bhindrawale, an Indira Gandhi protege, was introduced into Punjab to quell the mutiny in Punjab; after play-acting for sometime, he turned into a genuine article! Let Imran bask in the sun of glory while it lasts! Though him going Bhindrawale is dim as he wants the same goodies and perks that NS and AAZ enjoy. Only pray that the government does not go into rigor mortis! Intolerance towards opposing opinions was and is achlies heel of IK's personality not only as a player but as a political leader. Who so ever differed with him had to leave his cricket team and now his political party. Needless to give names of those victims as every body know. To establish himself as a mature political leader of a political party which is promising new Pakistan, IK has to reborn for a new Imran Khan having tolerance for opposite opinions and his opponents either in politics or media houses. While agreeing with the author's courageously calling a spade a spade, I would like to add that if Imran Khan had spared the law enforcement agencies for their actual duties rather than saving public and private property from PTI's hooliganism, tragedies like APS Peshawar would not happen. Is this really the time to be smashing xyz political party? I voted for PTI, now I am thinking I was wrong because of my selection (casting of vote for PTI). Very scary. The multitudes sway from implicit support for the mad Taleban to strident endorsement of a latent fascist. Ok, let's attribute that to an embattled and impoverished education system. But how does one explain the diatribes of the likes of supposedly erudite Imrans, Mazaris and Shafqat Mehmoods. If this is NAYA Pakistan; I would rather stick with Purana Pakistan. The Dharnas are over Mr Zahid. Relax. But they were not without a purpose and they will come back -and more strongly if the prevailing rampant corruption in all walk of life does not come to an end.